A beautiful weekend and an opportunity to do some sewing. 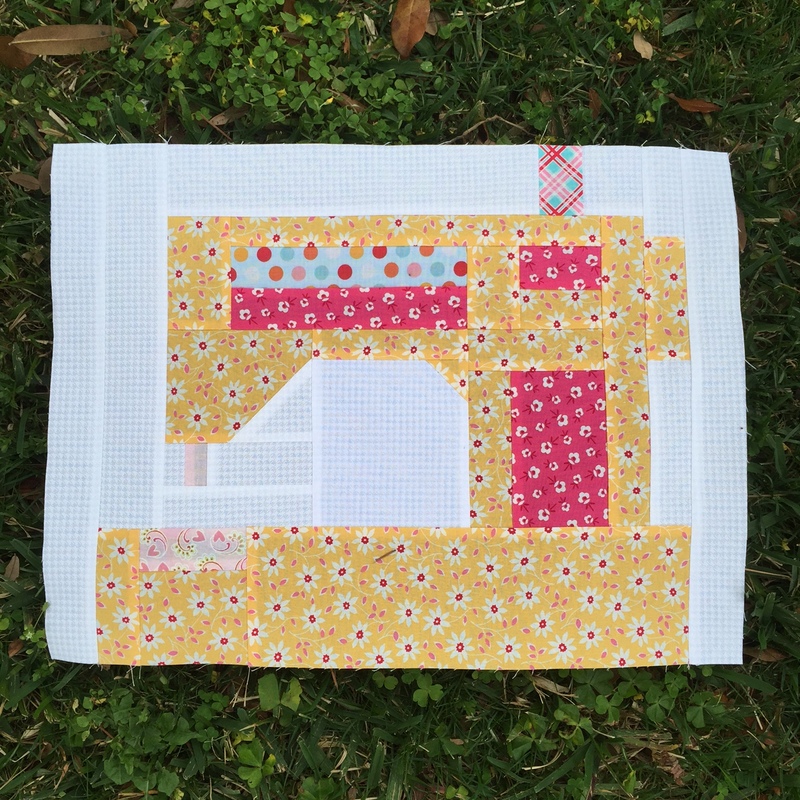 I already had my plan for today … Block 2 of the Snapshots Quilt Along. 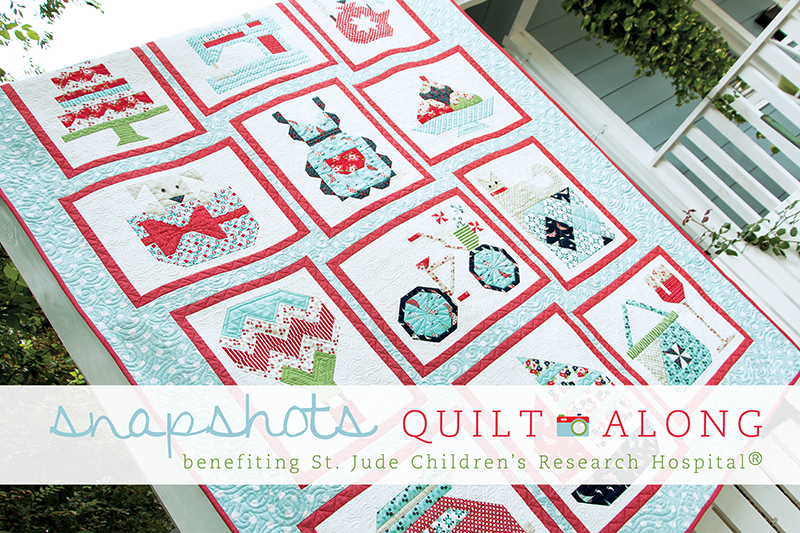 The Snapshots Quilt Along is being hosted by Bonnie & Camille and the Fat Quarter Shop during the entire year of 2015. It is a special Quilt Along in that the patterns are free, but donations are for the direct benefit of St Jude Children’s Hospital. The initial goal of $10,000 was already reached in the first month, so they have bumped up the goal to a wonderful $20,000! 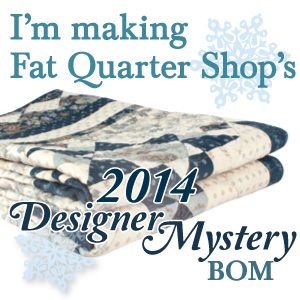 If you would like to participate, you can find everything you need on the Fat Quarter Shop blog. Here’s a link to Block 2, named Sew On and Sew On. The pattern, donation link, material requirements and YouTube videos about each block are available on the 15th of each month. Click HERE to open up today’s post from FQS. I couldn’t stop working on this block today, until it was done. It was really fun and quite easy to make. Love it! I’m really curious about how the color plan will come out with these blocks. I have stocked up on a lot of these bright fabrics and I am really enjoying them on my design wall. Here’s to an easy and relaxing week ahead! Thanks for stopping by today! 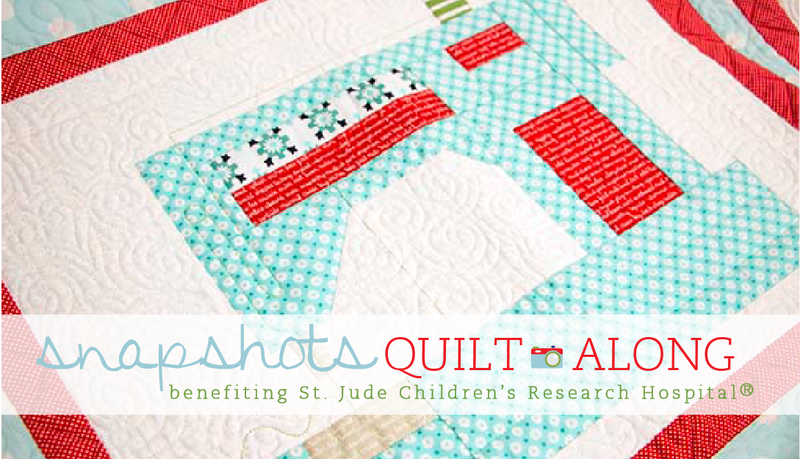 ← I WANT TO QUILT! Your block is beautiful. And that spool of thread — what an inspired fabric choice! 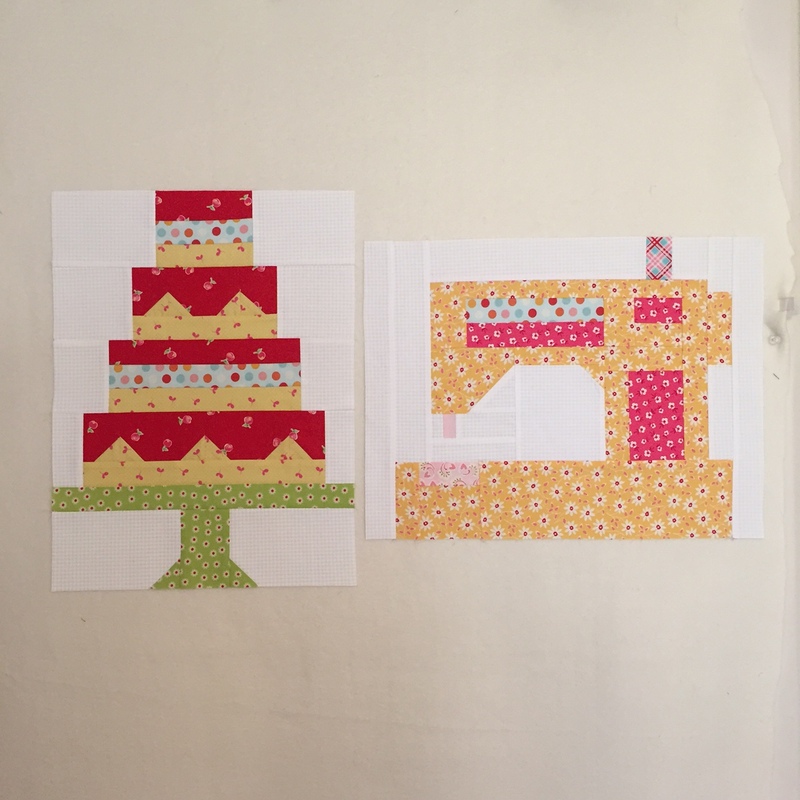 I’ve just got to make that block as a mini for my sewing room . . .